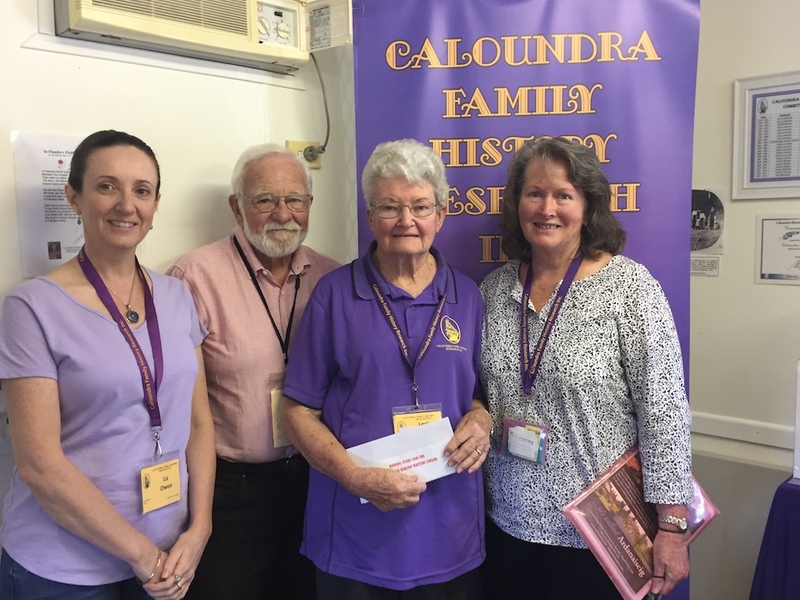 Lorrie Barzdo, past president and member of Caloundra Family History Research Inc was passionate about sharing stories through writing family history. In 2010 Lorrie donated money to provide a cash prize of $100 for each of the next ten years. 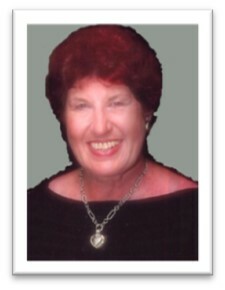 At CFHRI Lorrie will always be remembered. 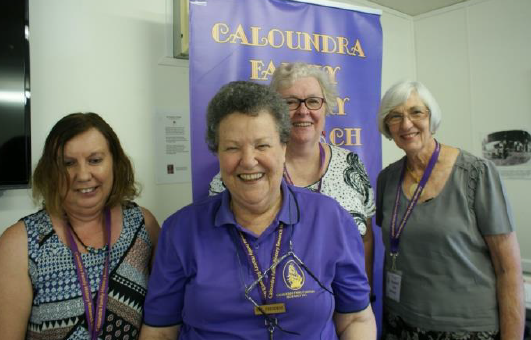 The winning entry is published in the Caloundra Clipper each year along with the other entries in the Lorrie Barzdo Writers’ Award. Members can read these stories in their Clippers or online in the members only area at the Caloundra Clipper. In recent years Susan Brownjohn has coordinated the running of the award. CFHRI members should refer to their newsletters for notifications on the next writing competition. ” I found Helen in the large basement library of the Aberdeen & North East Scotland Family History Society on Friday 19th May 2017″. Follow Roz’s adventures in Scotland, cemetery hopping during the day and with super sleuth Susan Brownjohn cyber stalking Helen on Google at night. 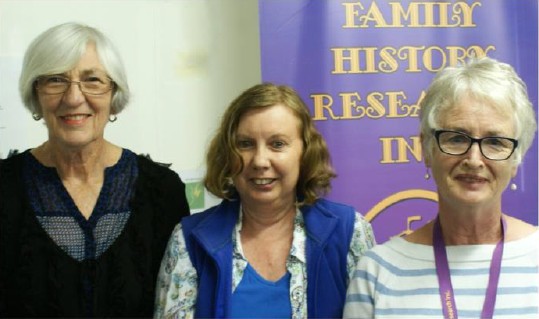 Roz’s story hold lessons for all of us doing family history research out in the field and locating live relatives. Judges Kay Middlemiss, Pauleen Cass & Margaret Lenz with winner Roz Kuss. With her story “WILLIAM JAMES GUY 1896-1917” Kay Middlemiss won the 2016 Lorrie Barzdo Writers’ Award being selected as the winner by the 2016 judges including former LBWA winners, Peter Hovey, Bev Smith and Margaret Lenz. Shirley Leggett impressed the judges also with her story. She received a Highly Commended for “How I connected with my mother’s cousin after more than 40 years”. The winner of the fifth annual award was Peter Hovey with his story “The Interview with Carl and Catharina Howe”. It is wonderful that Lorrie’s memory is being kept alive in this way. I’m looking forward to seeing who this year’s winner will be. “The Inheritance” by Bev Smith Lorrie Barzdo Writers’ Award winner, The Inheritance is a topic we can all appreciate however it is the difference in the stories events that mean we all have a different story to share. Showing that writing for the Lorrie Barzdo Writers’ Award is a great way to recognise ancestors and share memories that the younger generations can enjoy was winner Roz Kuzz an her piece “Memories of my Pop”. In 2012 Sue Schott was the winner with writings about her Great Grandmother – Jane Charlotte James. The first annual award winner of the Lorrie Barzdo Writers’ Award was Geoff Kelly with his piece “The Elusive William Kelly”.